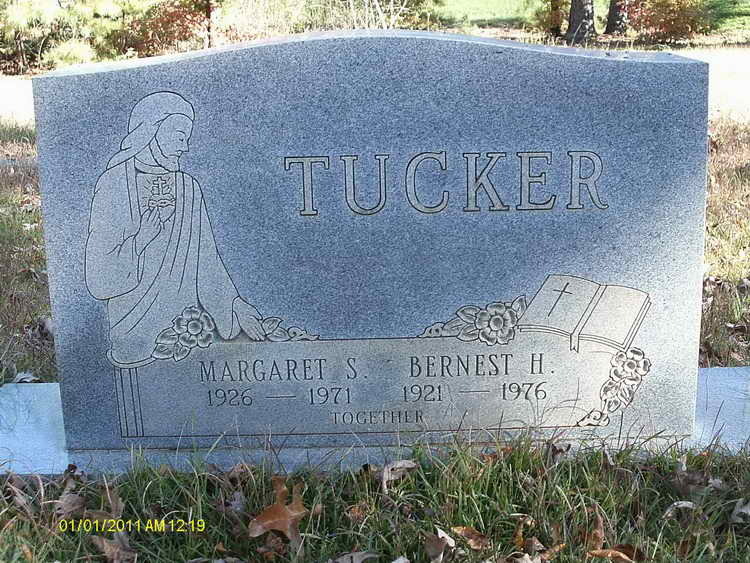 Grave marker for Bernest H. Tucker in the Six Forks Baptist Church Cemetery, Raleigh (Wake county), North Carolina. Bernest enlisted in the Army at Ft Bragg, NC on 19 November 1945. He was a member of Service Company in Frankfurt, Germany in 1946.